The Call Stack window records a history of stack changes from which you can generate Sequence diagrams. To generate a Sequence diagram from the current Stack, click on the (Generate Sequence Diagram of Stack) button on the Call Stack window toolbar. 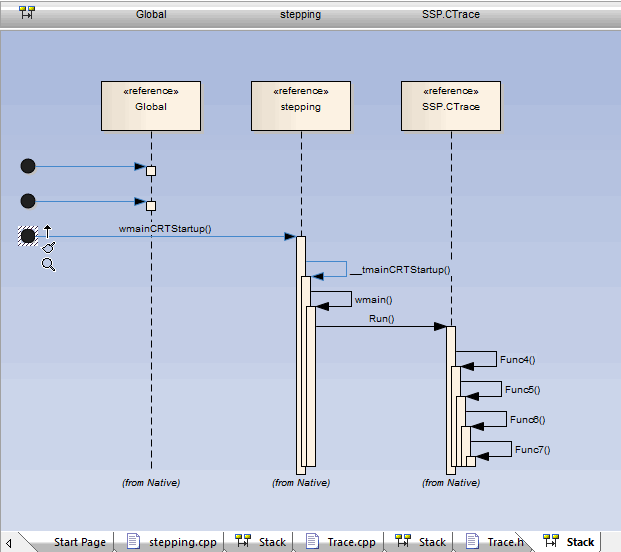 This immediately generates a Sequence diagram in the Diagram View.